Cosmetic services can assist you in reviving and rejuvenating your skin. 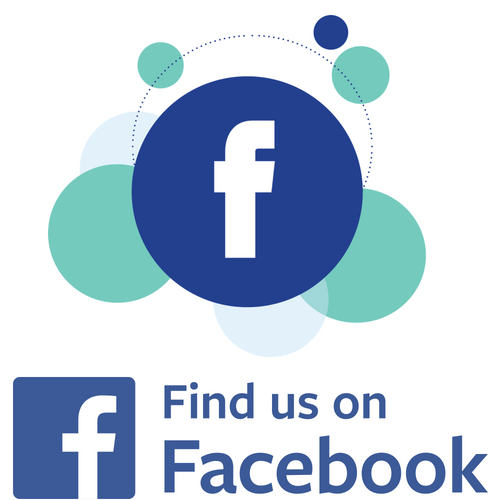 Cosmetic dermatology focuses on the improvement, enhancement and appearance of skin, hair and nails. Georgia Skin & Cancer Clinic prides itself on being a medical office specializing in cosmetic as well as general dermatology. We offer quality, safety, and expertise in advanced aesthetic techniques with the utmost in patient care. 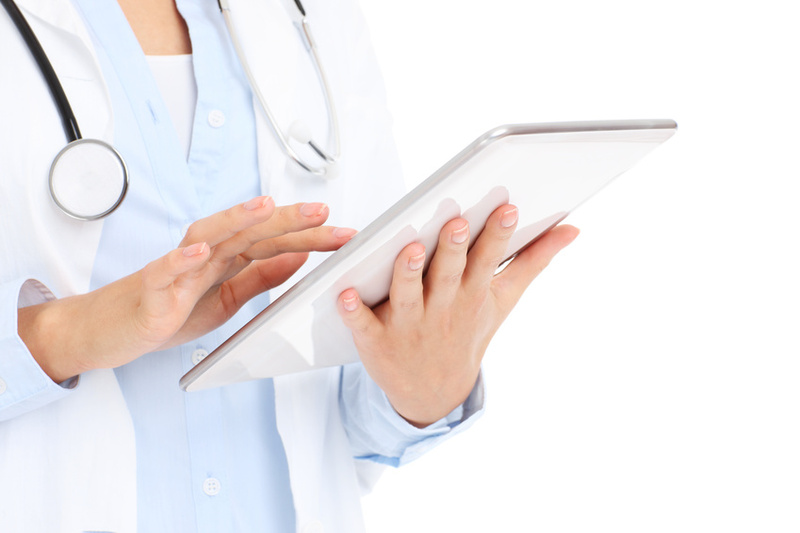 We would love to help you develop a skin rejuvenation plan specific to your needs and budget. 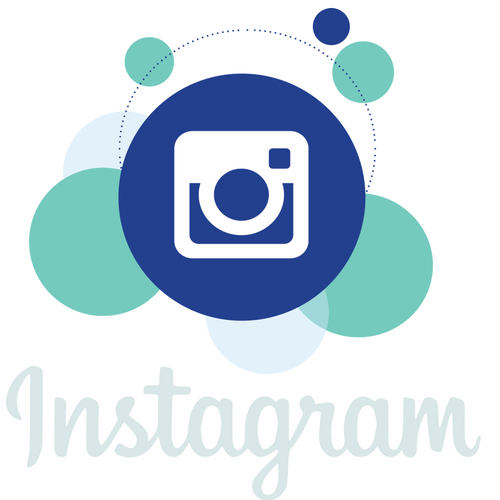 We offer specialty services through our cosmetic division, The Studio. Whether you are looking for a skincare regimen or anti-aging procedures, we have a highly specialized medical team that is ready to exceed your needs. 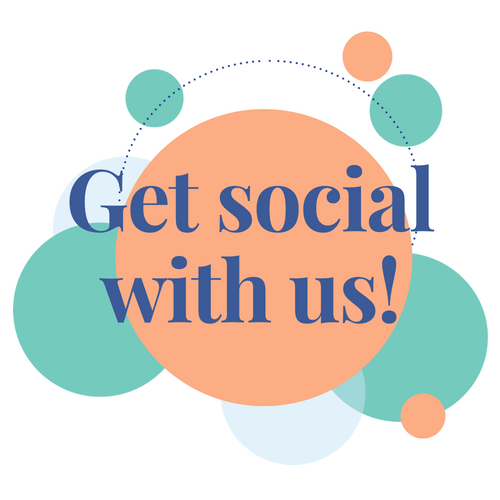 Schedule an aesthetic consultation today! Botox® is ad ministered in a simple procedure with no-downtime. It relaxes dynamic wrinkles, those age-related lines that are caused by muscle contractions. In regards to safety, since 2002 over 13-million aesthetic procedures have been used for temporary treatment of moderate to severe glabellar lines – vertical “frown lines” between the eyebrows and there has never been a single reported death linked to Botox®. Through the years facial expressions leave creases on certain areas of your face. You may have noticed lines between your eyebrows and at the corners of your eyes, and they may only be getting worse as time goes on. It happens to men and women – but for women, whose faces tend to be more animated than men’s, and whose skin is typically more delicate, these lines may appear exaggerated and more permanent. 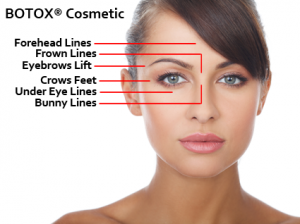 Fortunately, BOTOX® Cosmetic smoothes and softens these lines, so you can enjoy renewed confidence in your appearance. Microneedling is minimally invasive and does not produce significant side-effects or require downtime for recovery. It is appropriate for all skin types and can be used anywhere on the body. During this procedure, tiny needles puncture the skin, a process that spurs natural healing. When the skin heals, it may appear smoother and more youthful looking. Microneedling is also called collagen induction therapy because during the healing process collagen is remodeled by the body within the injured skin. Patients often choose microneedling because it is “friendlier” than alternatives such as chemical peels, microdermabrasion, and various laser-assisted techniques. These other procedures can be harsh, require longer recovery periods, or cause hyperpigmentation in patients with certain skin types. Microneedling with PRP (platelet rich plasma), also known as Collagen Induction Therapy is ideal for the treatment of acne scars, surgical scars, stretch marks, wrinkles and fine lines, hyperpigmentation, lax skin, sun damaged, large pores, and uneven skin texture. It can be performed either on the face or body, and is suitable for all skin types and colors. Used for: Large pores, Acne scars, scars, stretch marks and skin rejuvenation. The first procedure is called Microneedling. A small hand held, automatic device that contains tiny micro-needles is passed over the skin creating tiny micro-wounds, or channels, on the skin. During the body’s natural wound-healing process of these channels, collagen and elastin are automatically produced. The second procedure is called PRP (Platelet Rich Plasma). Platelet Rich Plasma is produced from an individual’s own blood. After a blood sample is obtained from a patient, the blood is put into a centrifuge, which is a tool that separates the PRP from the blood. The blood is spun for approximately 15 minutes. PRP contains highly concentrated amounts of natural growth factors and other cytokines that promote the regeneration process of soft tissues. The PRP is applied directly to the channels that were created from the micro-needling to further stimulate the natural healing process and creation of collagen. The potential benefits of PRP have led to a recent widespread interest in its use for anti-aging and regenerative purposes. 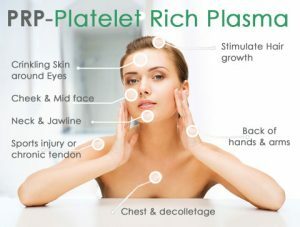 The healing properties of the blood components in PRP can be used as a cosmetic treatment for the following: Reducing fine lines and wrinkles Tightening and toning skin Mild collagen and volume loss Crow’s feet and dark under eye circles Acne scarring Rosacea Within a few weeks of treatment, an overall improvement in skin hydration, texture and tone can be seen. New collagen and blood vessels begin to grow after three to six weeks, and reduction of fine lines and wrinkles and volume correction happens over the next three to six months. The effects of Cosmetic PRP can last 12 months to two years. A chemical peel is an effective way to revitalize your facial appearance by using acids of varying strengths to exfoliate the skin and promote fresh new skin cells. As one of the oldest skincare methods of the modern age, chemical peels provide valuable solutions to a variety of skin problems. What Issues Can Chemical Peels Address? 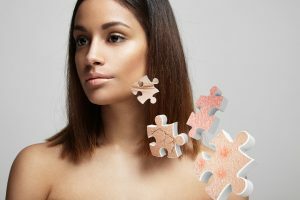 For decades, facial peels have been used to treat a number of conditions, such as: Fine lines Wrinkles Sun damage Uneven pigmentation Age spots Acne scarring Poor skin texture Large pores There are many benefits of chemical peels, and the types of peels offered at North Texas Plastic Surgery can safely address a wide range of facial skin issues. Designed exclusively for your skin. The signature facial begins with a personalized skin assessment. Deep pore cleaning and thorough exfoliation under steam, sweeping away dulling surface cells. PRP treatments for hair re-growth work similar to the way the facial treatments work. Platelets are injected at problem areas and begin to stimulate the growth of the hair follicle. 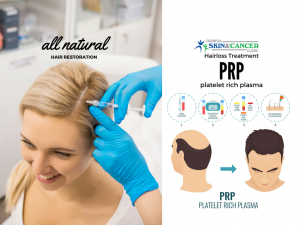 While PRP treatments are still in the early stages of research, this usage shows great promise as a non-surgical, virtually painless treatment which effectively promotes new hair growth. During the procedure, a small amount (10mL) of the patient’s blood will be drawn into a tube with a separator gel. The tube will then be spun in a centrifuge, which separates the platelet-rich plasma from other components in the blood, like red and white cells. This highly concentrated, platelet rich plasma is then injected into the patient’s skin (on the face or the scalp). 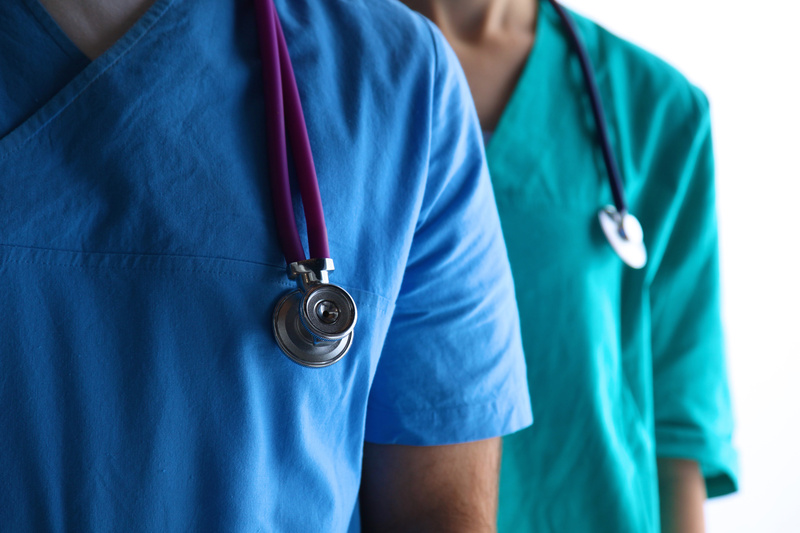 Usually, there is no turnaround time and the patient is able to leave the office and resume their normal day. Patients will see a gradual, natural improvement as the PRP treatment begins to stimulate rejuvenation of skin or re-growth of hair. Viviscal Professional is a clinically proven, 100% drug free dietary supplement for fuller and thicker hair. Viviscal Professional is backed by more than 25 years of continuous research by some of the world’s leading hair growth clinicians, making it one of the most researched hair growth supplements in the industry today. * Viviscal Professional dietary supplements are scientifically formulated with the ground-breaking, exclusive marine complex AminoMar®, which helps to nourish thinning hair from within and promote existing hair growth. 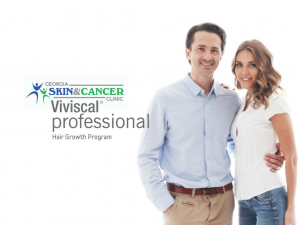 Along with AminoMar, Viviscal Professional hair growth supplements also contain key nutrients essential for healthy hair growth, including Biotin, Apple Extract and Vitamin C. Viviscal Professional is suitable for women and men of all hair types. We Gladly Accept Care Credit. Follow the link for more information.